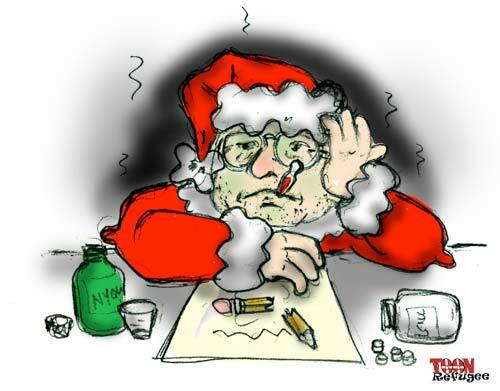 The Twelve Cartoons of Christmas ran smack-dab into the Flu before Christmas! I was hacking and sneezing and coughing lungs out. Still I was awake and feeling half dead. Had just settled down for a Nyquil-induced nap. But nasal fluids green rather than clear. I knew in a moment it must be the flu. With apologies to?Clement C. Moore and the squeamish among you. Next Next post: Happy Birthday Mac! You were such a cute baby.